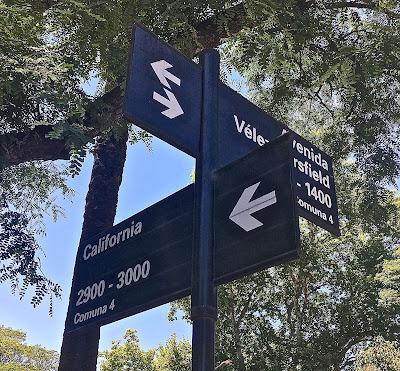 Only a couple days earlier, this sign in the Buenos Aires barrio of Barracas had pointed me in the opposite direction. It’s been a week now since I left Buenos Aires, and a busy one as things piled up in my absence, but my 24-hour odyssey from the Argentine capital to my home in California was a memorable one—good in some ways, and not so good in others. 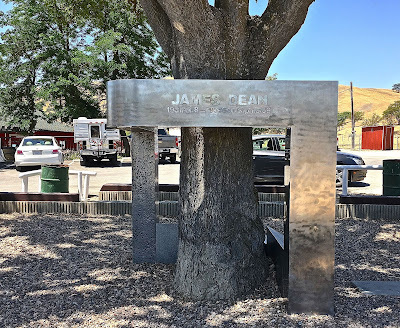 Going from mid-summer to mid-winter wasn’t that great a shock—I can’t say I miss the River Plate’s hot, wet and sticky January and the Bay Area’s cool damp climate is nothing like the brutal “bomb cyclone” that hit the eastern US not so long ago. Still, there were ups and downs (figuratively as well as literally) en route. Aeroparque Jorge Newbery is Buenos Aires's domestic airport, but also has flights to neighboring countries. 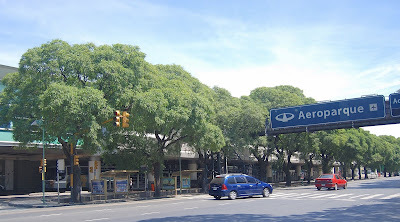 For the first time, my return trip started from Aeroparque Jorge Newbery, Buenos Aires’s city airport that’s just a ten-minute taxi ride from our Palermo apartment—as opposed to the more distant Aeropuerto Internacional Ministro Pistarini, in the provincial suburb of Ezeiza. One attraction was the fare: only A$100 (about US$5) door-to-door, while a comparable service to Ezeiza costs A$950 (about US$50). A taxi-bus combination to Ezeiza would have cost about A$350 (US$18), but it would have taken considerably longer. 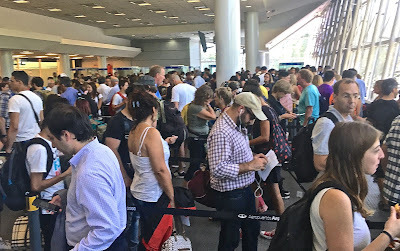 Argentines and others trying to leave the country at Aeroparque immigration. That convenience came at a price that I hadn’t quite anticipated, though. I had flown out of Aeroparque before, but never on an international flight. The security line moved pretty well but, once I reached the immigration line, there was a lengthy backup. While the only international flights are to neighboring countries—my first leg was to Santiago de Chile—there simply weren’t enough posts, and enough personnel, to handle everybody expeditiously, at least on a Friday afternoon in high season. On top of that, there weren’t enough gates for all the flights, so passengers were milling about waiting for the announcements and, then, most of us had to board buses to the planes parked on the tarmac. Eventually, we departed about half an hour late, which caused me some concern as I had a relatively short window for my connecting flight to Lima. 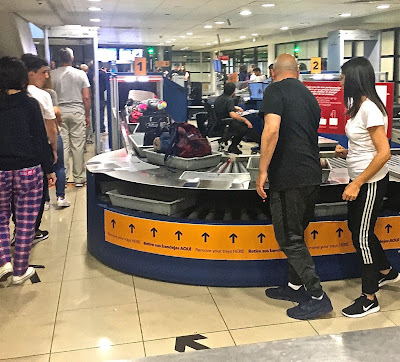 I wondered, and still wonder, whether Ezeiza—accustomed to dealing with large crowds and many more planes—would have been a better option. 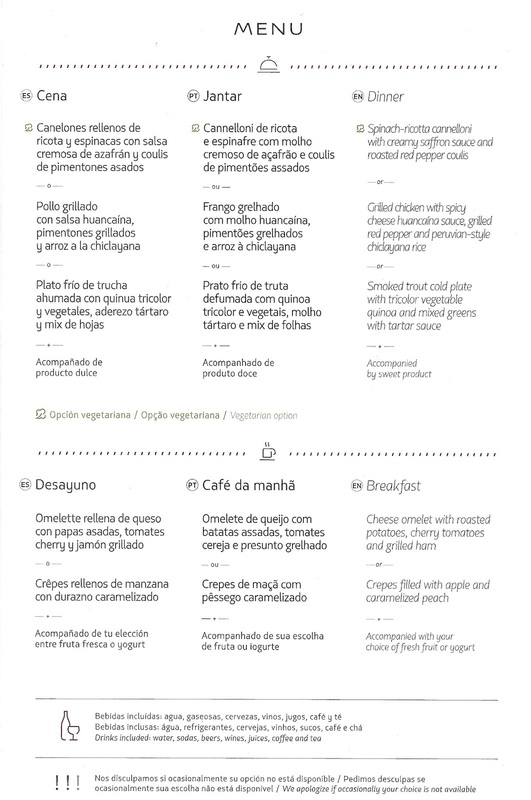 That said, the LATAM flight over the Andes was comfortable enough, with limited food service that I declined—I’d already eaten a good lunch, so I didn’t feel like a savory medialuna (croissant) with ham and cheese. 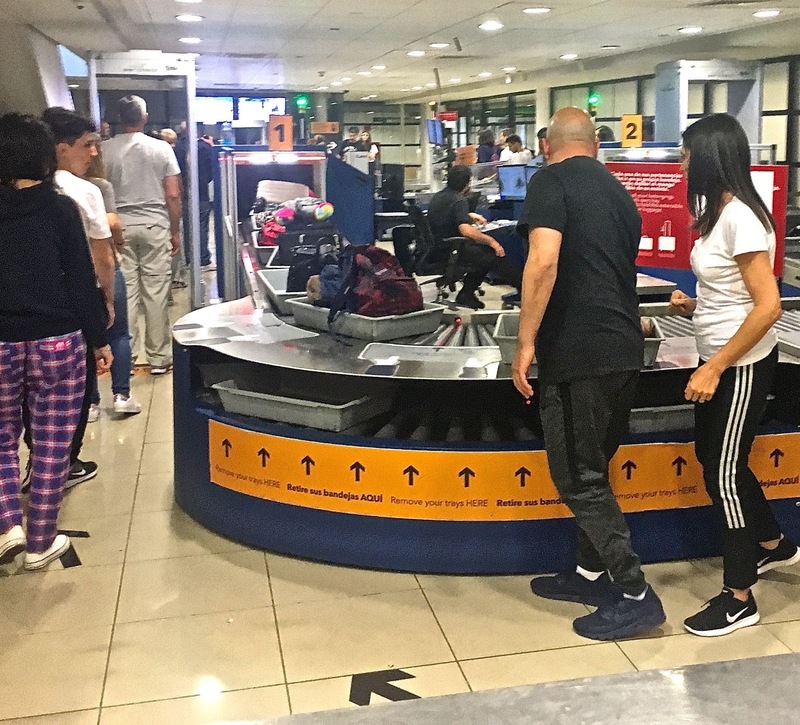 On landing in Santiago, I was surprised to find a secondary security line in the international terminal that slowed matters down some more, and equally surprised to find that I had to place my daypack and computer bag in trays rather than sending them through as is. It was indeed the last pisco sour (at least until I return to Chile in March). 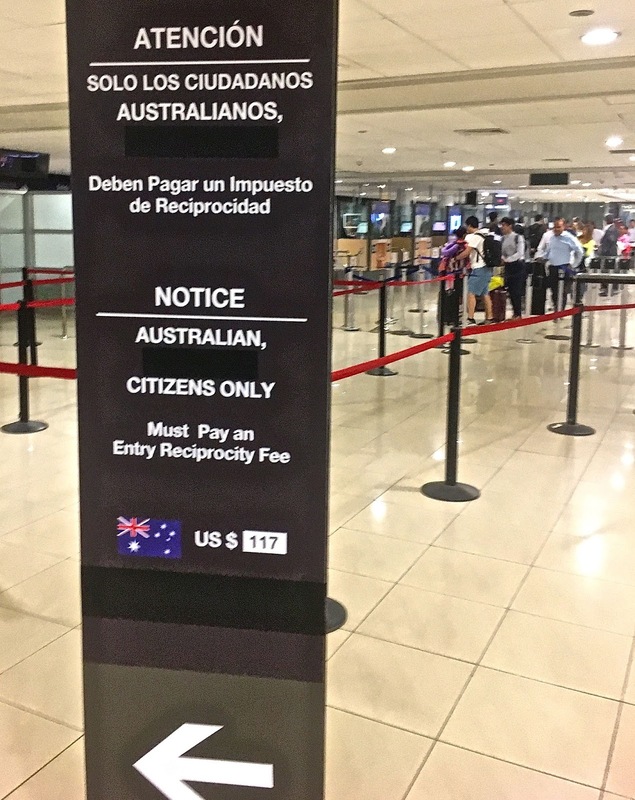 Only Australians now pay Chile's "reciprocity fee" to visit the country. From there to Lima, the flight was uneventful, though I was pleased to find that LATAM is now offering Chile’s own emblematic Carménère varietal to accompany meal service, rather than some generic Cabernet. To my mind this was long overdue, even if this particular vintage was not an elite version. Switching planes again at Lima, we went through yet another secondary security line—which I had experienced before here—before continuing to Los Angeles. 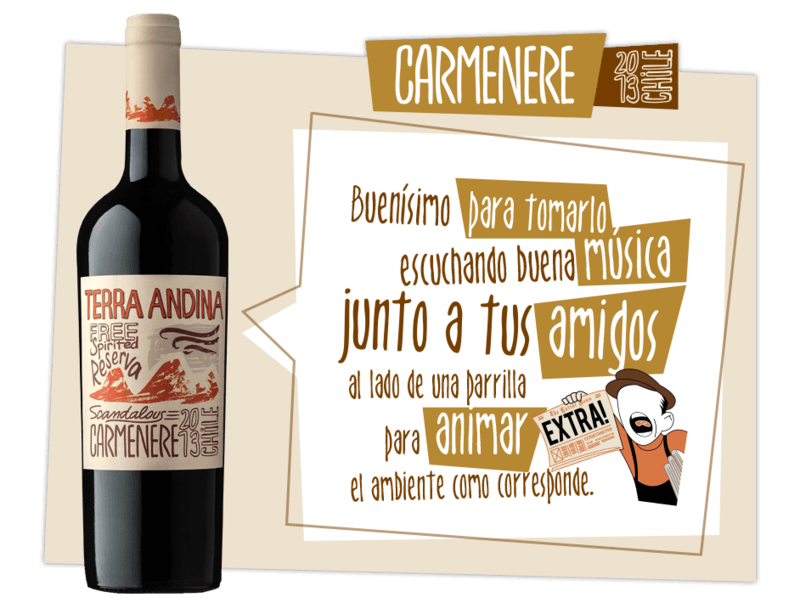 Chile's signature varietal is now available on LATAM flights out of Santiago. 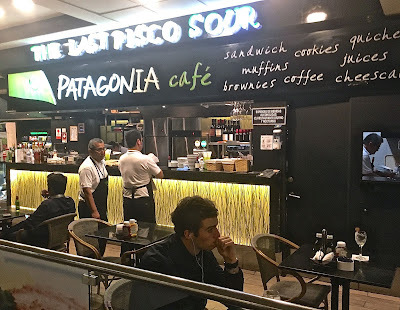 The connection was tight, so there was no time for a Peruvian pisco sour, but on board we had a surprisingly good choice of meals, and the first time I ever recall receiving a printed menu in clase económica (coach class). It was also rewarding to see Peruvian touches on the grilled chicken, though the huancaína sauce was far less “spicy” than the English translation might suggest. The only downside to the flight was tropical turbulence that interrupted my hard-earned sleep. 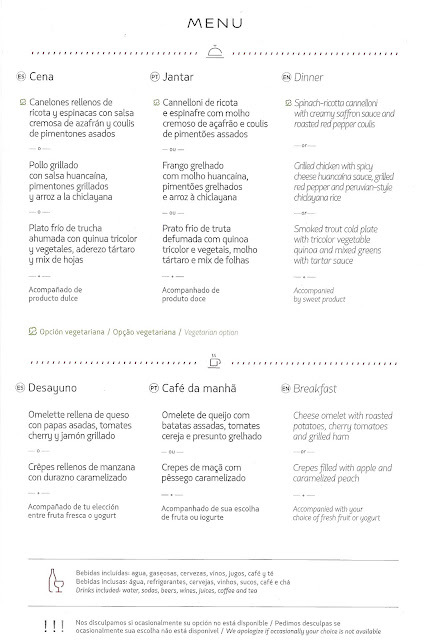 The flight from Lima to LAX offered diverse dinner and breakfast options, even in coach. 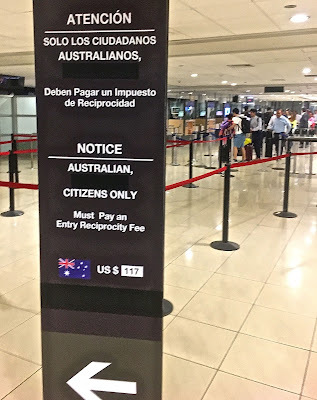 The immigration lines at LAX were long, but they moved much faster than those at Aeroparque. 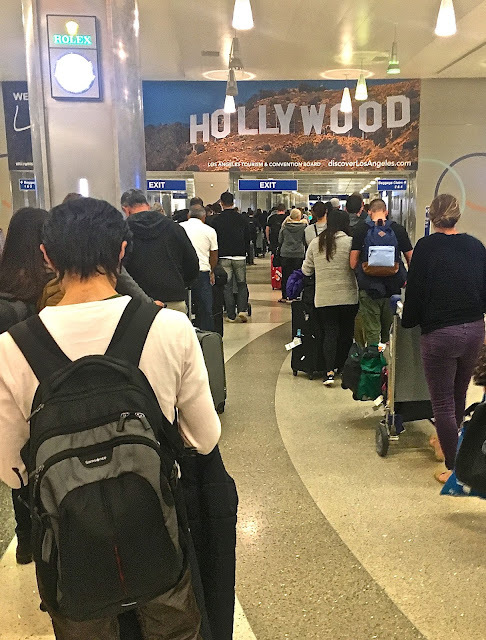 Arriving early at LAX, I breezed through immigration and headed to my rental car—even though it’s only a one-hour flight home, I prefer driving to the indignities of the Transportation Security Administration, and it also helps me unwind. The only downside here was that, given the recent Montecito mudslide, I could not take US 101 to Santa Barbara and, instead, drove north on Interstate 5 until I intersected California SR 46, leading past Cholame—marking the spot where James Dean met his death in 1955—to intersect 101 at Paso Robles. 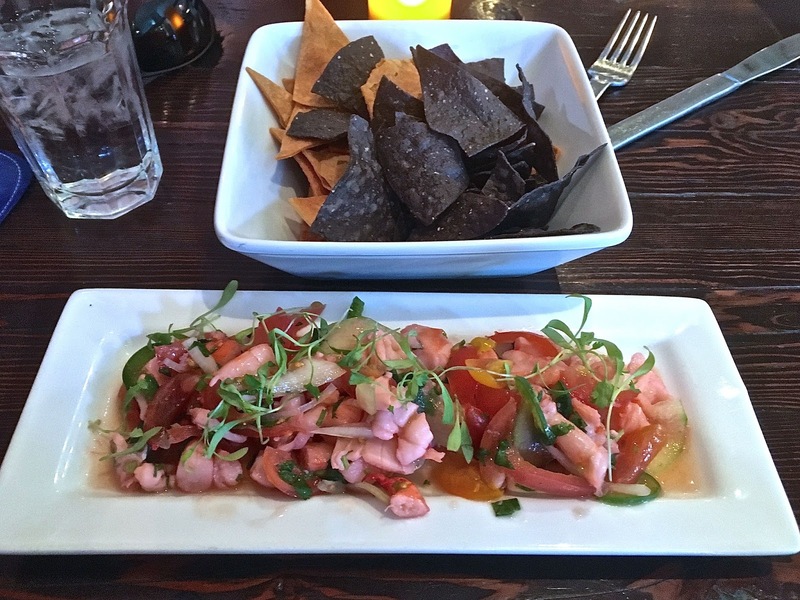 In recent years, I’ve grown to enjoy Paso Robles as an ideal lunch break between Southern California and the Bay Area, all the more so because it has an appealing central plaza like so many cities south of the Río Grande. At La Cosecha, I ordered a shrimp and scallop ceviche, plus a lemonade squeezed fresh on the spot—almost exactly 24 hours after I boarded the plane at Aeroparque—before continuing home.